Should I Upgrade My iPad 3 to an iPad 4 Now? Over the past couple of days I have seen quite a few angry iPad 3 owners speak out on a number of blog posts and through social media channels, claiming that they bought the iPad 3 just 6 months ago and all of a sudden their device is now classed as “old”. This comes off the back of the Apple event a few days ago when they announced the iPad 4 and iPad Mini, So what does this mean for iPad 3 owners now? The iPad 4, Apple’s latest gadget in the iPad series. What do we call this one? The New New iPad ? In my opinion this iPad doesn’t have enough noticeable and relevant changes to really warrant an upgrade, unless you are looking to upgrade from the 1st or 2nd gen and then sure, this is the ideal time to upgrade. 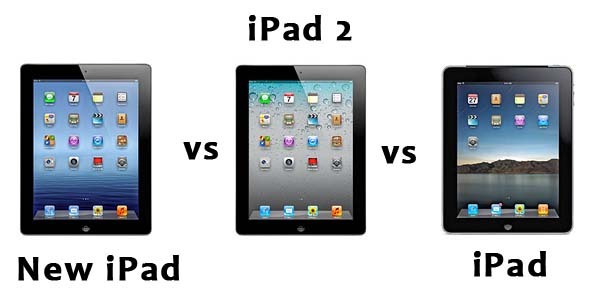 So answer me this: Why sell your 6 month iPad 3 at a loss (as it will be second hand) and then spend another $500 on the same iPad that just has a faster processor and a Lightning connector? Without starting to beat into the iPad 4 it does have some nifty new features, such as the new HD FaceTime camera on the front which quite a few people will benefit from, and hats off to Apple that’s a decent feature.